Taurus Moon Sign Vrish Rashi April 2019 Monthly Prediction . Taurus House is Ownes by Venus (Sukra). Moon sign (Rashi) Taurus means that Moon was present in Taurus Sign in birth time. If you do not know your moon sign, Please generate free Horoscope Prediction to know this. Please note that this is not Western Sun sign based prediction. Family life predictions: Unlike the previous one,this month will bring some good news. Try to avoid the increase in enemy line,because of your unpleasant truths. You can get hurt from the near and dear onesin relation to property. Dont work unnecessarily in an impulsive way as thiswill not produce any productive work. There will be a separation inrelationships of the joint family, due to property. Try not to blame othersunnecessarily. Social life predictions: Try not to avoid anymistakes and errors in case of legal matters. The social life will besuccessful and you may spend more time in it. Later in any social events, therewill be proximity with a special person. Try to avoid travelling through waterways, which involves danger. Later due to extravagant nature, you would spend alot and later there will be financial tensions. Try to save and spend less. Lucky days are: 15th, 20th ofApril,19. Financial condition predictions: In spite of gettingbusy at work, there will be mental depressions in between. So dont lose yourheart. Think twice before giving loan to somebody. Later during the month pensionerswould suffer from delayed payments. However you shouldnt depend on others forfinancial matters. You may get the encouragement and ways for earnings fromvarious sources. Avoid making any financial transactions as there will bemonetary losses. You may delay the transactions and check with your banker. Lucky days are: 23rd of April,19. Job predictions: People from commerce background oraccountants will get the chance of a special job. The increase in work pressurealong with the responsibilities is predicted for the journalists and reporters.Others may help with your coworkers with your skills and get the job done. Thismonth will be favorable for the Taurus as there is increase in prospects ofwork field. Those who were searching for new jobs or job changes, theirsearches might end this time along with high paid jobs. Lucky days are: 10th, 11th, 15th,18th and 19th of April,19. 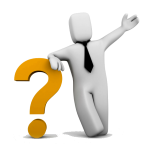 Business predictions: As far as business concern,there will be lots of ups and downs predicted. You should be careful during thepurchase of company shares. Those who are producing the chemical products mighthave to suffer from sudden dangers. The loss in business will lead to mentalstress. The profits for the industrial goods business will increase after theadditional investments in capital. Lucky days are: 9th, 10th, 11th,16th, 17th 18th and 22nd ofApril,19. Health predictions: You will suffer from anyinfectious diseases. Try to take care of your health. And try to work accordingto your ability. Dont take unnecessary stress. Apart from that there will beno further long term sickness involved. Try to avoid these days: 9th, 24th,25th of April,19. Education predictions: It is anticipated that thisperiod will not be bright as you thought; especially the technical and the lawstudents might face troubles even if you put your hard work. Marriage life predictions: Your wife will lend herhelping hand. Dont be apprehensive as she might be giving more thanwhat she can afford for your love and respect towards you. Take her for acandle light dinner or a gift to bring smile on her face. Lucky days are: 18th and 19th ofApril,19. Travel predictions: Nothing special for this month.Try to restrain your work within the boundary and not to travel for long hours.If feeling stressed out take break and start once again. 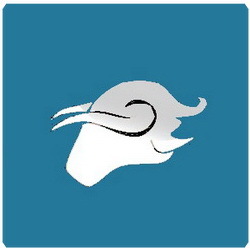 Prediction for Taurus (Vrish Rashi) May 2019 is here..
Free Moonsign Prediction for April 2019 is here..